Keep young and newly planted trees hydrated! Ideal for watering trees on sloped surfaces. The latest addition, the ArborRain Tower, represents a design recognized by the industry. 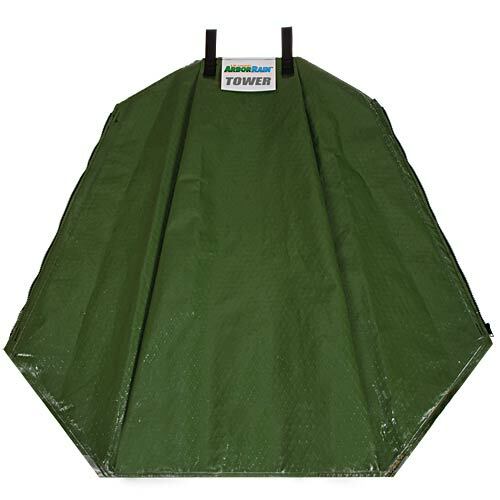 Its tall, slim shape, 18" wide when filled, works well in the landscape and nursery, and can also be used to irrigate smaller diameter B&B and containerized trees. Irrigates well on sloped surfaces too. Locking zipper stays in place. Zip multiple hydrators together for larger diameter trees. Single fits up to 4" diameter. 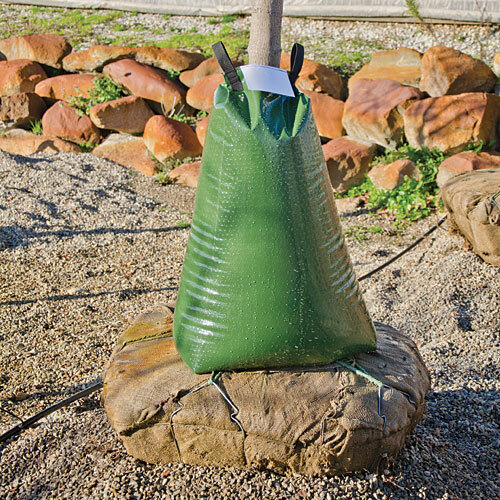 Zip two together to irrigate up to 8" trees. Why the ArborRain Tower is better: The ArborRain Tower’s inside plastic is black which blocks sunlight from passing through and prevents mold accumulation on the inside. Other systems that do not have the black inside color can clog in just 2-3 months due to that mold. 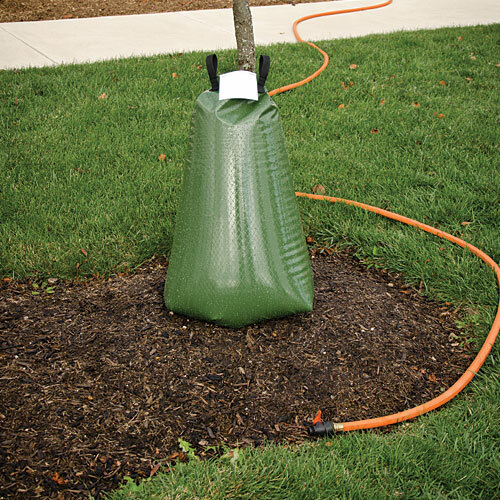 ArborRain’s zipper has a firm, secure lockdown; that’s critical because when zipped with 1 or 2 other bags around an 8 or 12 inch tree, it will withstand the weight of all that water pulling down and WON’T release on its own. Also with ArborRain, the bottom edge is sealed; thus it WILL NOT leak at the bottom. Inferior designs are just stitched, and are inconsistent in delivering water to the tree. In fact, with those designs, the water often runs out too fast and instead of being drawn into the roots, runs off to the nearby turf. With Arbor Rain, you also get triple-stitched handles that won’t tear out when you shake it. 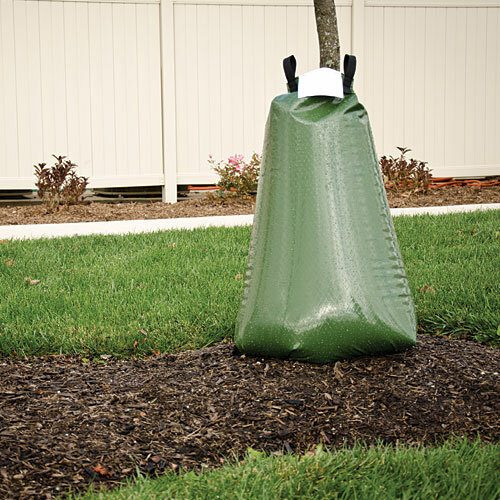 Backed by a 5-year warranty, the ArborRain Tower can be trusted with your most valuable trees. 5-8 hour drip time. Deep Waters right to the roots.